Are you an honest and reliable Health and Safety professional? Does the challenge of developing a brand-new safety management plan and creating a culture of safety in a new business make you excited? Are you looking for a role with a fast paced, growing company? If so, then this posting is for you! 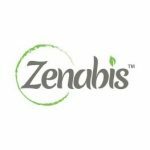 With the potential to become one of the largest licensed producers of cannabis in Canada, Zenabis is proud to provide medical and recreational cannabis from coast to coast! Our team consists of passionate and progressive members of the community who value innovation and ambition. Our goal is to provide safe, high quality cannabis products and derivatives to the millions of Canadians that want them. *Please note: Only Online Applications are accepted.